August 10, 2012 BG Meters, RocheStacey D.
There were 7 commenters willing and eligible to be entered into the “drawing” for the meter giveaway. Roche Summit Part 3. Advocacy. 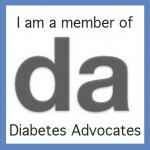 August 7, 2012 Advocacy, Community, Education, Events, RocheStacey D.
This post is probably the most difficult to write and I think the most important – finding the right words to describe something as elaborate and essential as diabetes advocacy can be challenging. First off, being among some of my diabetes family on the 9th anniversary of my father’s passing (due to diabetes complications) was surreal. Here I was, in a room full of 30+ others whose lives are touched by diabetes and representatives of a company whose aim is to make those lives easier. A connection that I didn’t know existed just 9 years ago. Something that was totally unimaginable during his time I’m sure. I couldn’t help but reflect on how things could have turned out differently for him had support like this existed. Rob and Todd presented to us the Welcome to Type 1 video. If you have not yet seen this video, watch it. It so precisely portrays how attitude has everything to do with how to best cope with living with something like diabetes. It also illustrates how diabetes, unlike other chronic health conditions, leaves most of the care to the patients and not the healthcare providers. For this very reason, it becomes crucial for the patients themselves to advocate for the rights and well being of people living with diabetes. What is advocacy? By definition, health advocacy supports and promotes patient’s health care rights as well as enhances community health and policy initiatives that focus on the availability, safety and quality of care. 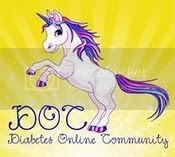 I don’t see myself as an innovator in the diabetes community. I do not come up with the exceptional ideas that others do or write remarkable books. 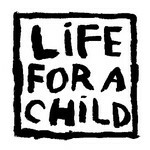 But I do love to help collaborate on initiatives, provide my extra supplies to those who need it more than me, spread the word of current or future events, connect people, fundraise and donate to diabetes organizations, help introduce new products, share my own story and of course retweet 😉 By doing these things I can achieve forms of advocacy. Hearing Josh say that “everyone has a bomb in their life that goes off at some point” and “it’s therapeutic to give back” couldn’t have been said better. For most of us, the bombs are the daily struggles of diabetes. For a lot of us, we consider social media a form of therapy. He thanked us for what we do. 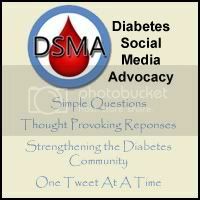 For providing advice on the little daily things of living with diabetes to people who have questions. For letting others know that normal may not be what you think. For showing that living with diabetes is hard but moving forward is important. When I get emails or comments from readers thanking me for a particular post or telling me that my father would be proud of me for my actions, it touches my heart with a sense of accomplishment. I reached someone and hopefully made a difference to them. 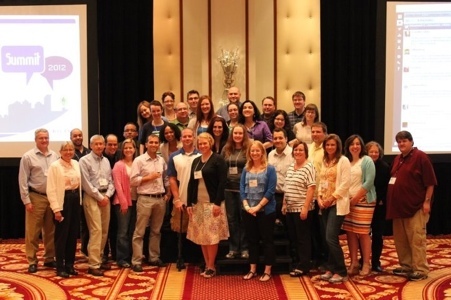 Yes, Roche initiated a gathering of diabetes online community members to discuss how to fill the gap between patient needs and their own company’s contributions. Did they do it lavishly? Sure. Were all the extras completely necessary? Of course not. But regardless of how lavish the locations are, these opportunities are invaluable to help us communicate what is important as a strong group. However, even without these summits, we are still needed to tell the public just what diabetes is all about. To bust the myths that are endless. To fight for more affordable supplies. 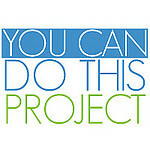 To let people all over the world know that they are not alone and you can do this. We are the experts. 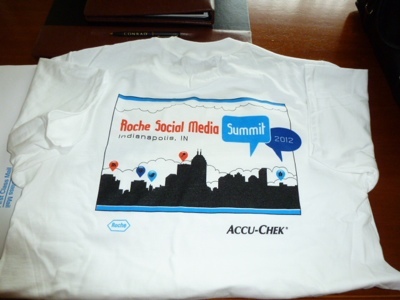 Roche Summit Part 2. Technology. August 6, 2012 BG Meters, Community, Education, Events, RocheStacey D.
One of the things I enjoyed most about the trip to Indianapolis was the opportunity to visit and see firsthand Roche’s main campus, including their Research and Development area and the test strip manufacturing plant. Seeing before my own eyes how much equipment and effort goes into making Accu-chek test strips was mind boggling. Just to give you an idea of the magnitude of their production – there are 100,000 vials of 50 test strips manufactured in just one lot. 200 vials per minute are packaged for different countries. Whoa. And that is just one test strip manufacturer. Imagine putting them all together?! Our tour guide mentioned that the motto in the plant is that “every strip counts”. I like that. With how valuable and critical test strip results are, it was good to hear and I hope that all involved take it that seriously. 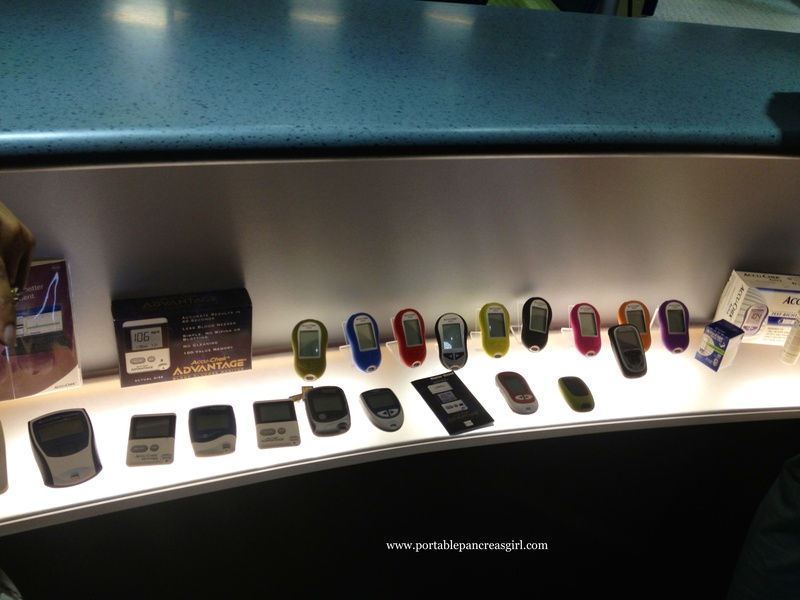 We also got to hear from some of Roche’s executives on the current and future state of their diabetes technology. Believe it or not (and I’ll take their word for it) there are 180 companies involved with diabetes technology in one way or another. 180! They want to make products more useful with integration which was reassuring since isn’t that what we all want? But it is a work in progress. And with the FDA seemingly so slow with approving diabetes devices, we have to do our part as patients to assist all pharma companies in dealing with the FDA by voicing our opinions and providing feedback whenever possible. Their new Combo insulin pump system was discussed and October of this year looks to be when it will be available here in the US. They shared some upcoming products with us so it looks like they will be busy for some time. Now to the fun part. 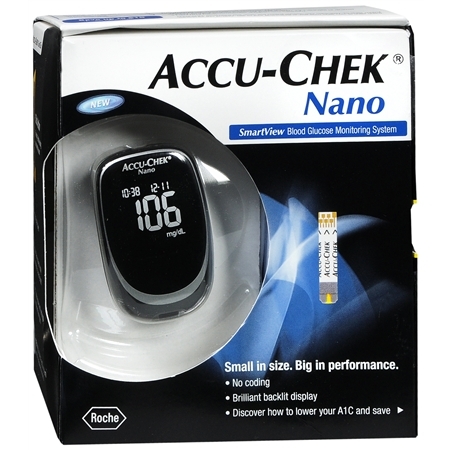 I was given an Accu-chek Nano meter from Roche. Since I already have one (why yes I do tend to get myself the latest and greatest diabetes equipment!) I would love to give this new one to one of my readers. To be fair, all attendees from the Social Media Summit will not be eligible. All you have to do is leave a comment on this post and I will use one of those handy-dandy random number generators to pick the winner and will announce it here on Friday. The deadline to participate is Thursday, August 9th at noon EST. It comes with 10 Smartview test strips and the new FastClix lancet device if you haven’t tried that yet. It is a nice little meter and I really like it but if I’m going to be honest, two things hold me back from using it as my primary meter – lack of a port light where you insert the strips and the batteries it uses (CR2032). Good luck! !